If I wasn’t doing this I’d be a: Health Care Administrator – which represents 15 years of my first career prior to venue management. Most impressive person I’ve ever met: Pope Francis. It was more of a wave to the crowd in St. Peter’s Square at the Vatican, but the Pope’s presence had a profound and permanent impression on me. I unwind by: Outdoor activities – golf, biking, lakes, and pools, enjoying family, Cody the Chihuahua, and reading too. Of course, there are the baking frenzies that can calm the nerves when needed!!! My favorite IAVM event I ever attended was: Public Facility Management School – now known as Venue Management School. 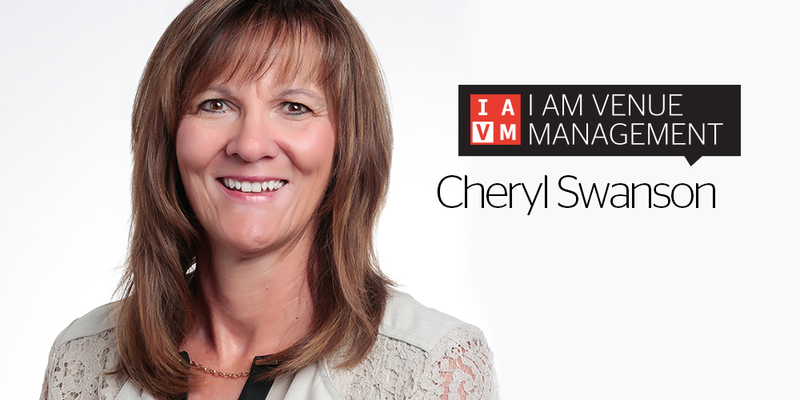 I attended as a bookings manager and knew I wanted to be an executive director when I grew up! One trait an up-and-coming venue manager should have is: Flexibility and resiliency. Must easily adapt to constant change. How do you plan to help elevate the profession: Continue to identify educational needs in an ever changing industry and provide appropriate content. We also need to assess the delivery methods to connect with different generations in the way they prefer. Where do you see new growth opportunities in the profession: Technology. Guests, fans, or attendees in a venue expect to be a part of the event whether it’s a concert, lecture, reception, or conference. Venues must provide technology so [guests] are fully informed and engaged in the experience. How do you stay current with industry trends and developments: Constantly reading all sources, communicating with colleagues, benchmarking with other venues and service providers, and attending conferences and educational opportunities. Who are three people you’d invite to a dinner party and why: My husband, because he is always with me, and my parents, because I miss the days when we could all have dinner together.